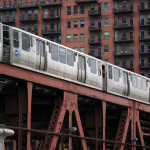 A 2400-series Harlem-bound Green Line train crosses the Chicago River on the Lake Street bridge. It’s the end of the line for the 2400-series rail cars as the Chicago Transit Authority upgrades its rail fleet. The CTA is holding one last ride for the 38 year old cars on Wednesday, January 21st, 2015 before they’re removed from service. Inaugurated during the United States’ bicentennial in 1976, the cars were built by Boeing-Vertol and originally delivered in a patriotic red, white and blue colour scheme. For most of their life, the 2400-series served the Green and Purple lines, with a number dedicated as maintenance trains easily identified by their red and white striped horizontal markings. This class of rail car became the first to use sliding doors instead of the “blinker” doors, last used on the long gone 2200-series. An eight-car farewell train will tour the Loop, Brown Line, North Side Red Line and South Side Green Line in their original 1976 livery. Visit the CTA web site for a schedule of the 2400-series final run. After serving some 40+ years moving people throughout Chicago, the aging 2200-series rail cars are making their final run before retirement. 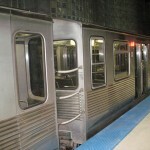 On the morning of Thursday, August 8th, 2013, the Chicago Transit Authority will be holding two celebratory last trips with an eight-car 2200-series train along the Blue Line. Famous for their rectangular shape, corrugated sides and folding “blinker” doors, the 2200-series hit the rails in 1969 as delivery continued into the early 1970s. Later in their life, the 2200-series moved to the Blue Line to be paired up with the 2600-series so that passengers with disabilities could board a train without being restricted by the narrow doors. Two trips will be made late Thursday morning: a non-stop short run between Rosemont and Jefferson Park leaving Rosemont at 10:05 am CDT and an all-stop full run from O’Hare to Forest Park leaving O’Hare at 11:05 am CDT. Regular fares will be in effect. Visit the Chicago Transit Authority web site for full schedule details. The 2200-series have been replaced by the 5000-series which are deployed on the Pink, Red and Green Lines. 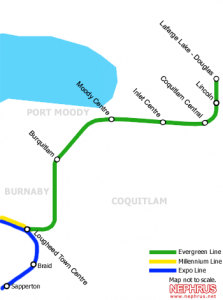 The Government of Canada, Province of British Columbia, and TransLink released the finalized names of the stations along the progressing Evergreen Line. The contentious transit project has been subject to delays, funding issues and controversy; but now it’s clear that the new SkyTrain line is moving forward. While a list of station names might not be significant, it at least shows that progress is being made. As construction continues, it’s expected that the route will be ready for the summer of 2016. So far, the Evergreen Line is estimated to cost around $1.43 billion; $424 million coming from the Government of Canada, $586 million from the Province of British Columbia, and $400 million from TransLink. Three days ago, the London Underground celebrated a well-earned milestone: its 150th birthday. Part of the festivities include rides on a restored E class 0-4-4T steam engine: Met Locomotive No. 1. Coupled with the historic locomotive is the refurbished “Jubilee” carriage #353 from 1892. Another train will be pulled by an electric locomotive from the 1920s, the No. 12 Sarah Siddons. The rest of the train will include cars with first and second class seating from the Bluebell Railway in Sussex. Only one ride remains with the heritage trains, which will occur on Sunday, January 20th, 2013. Tickets can be purchased by phone through the London Transport Museum. If you can’t get tickets, a regular fare will at least net you an opportunity to watch these hard workers of a bygone era roar past. The BBC has a short gallery on the run from Sunday, January 13th. I spy with my little eye: station renovations! 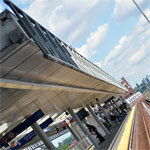 Main Street-Science World is the oldest station serving SkyTrain. Opened in 1983 when the system was just a demo line prior to the start of Expo 86 (actual service didn’t begin until December 1985), TransLink has identified Main Street-Science World as a station that requires significant upgrades to handle the increasing number of passengers as well as preparation for fare gate installation. 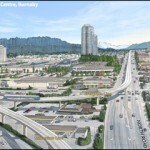 TransLink has some pretty hefty changes in mind and wants transit users to provide their input. This window is open only from January 8th until January 22nd, 2013. 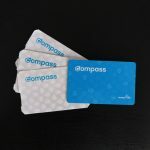 Improvements include building a new station house on the east side of Main Street (Pacific Central side) with escalators and elevators to the platform, direct elevator and escalator access to the platform in the existing west station house (Science World side), security and lighting upgrades, plus additional retail space (TransLink could use the extra cash). Work should commence within the next few months and progress until Fall 2013 for the entrance on the east side of Main Street and have minimal rail service impacts. It’s not until the second phase from Fall 2013 until Summer 2014 when work on the west station house will cause service disruptions. A two-car shuttle train will run between the Waterfront and Commercial-Broadway stations and stop at all stations in between while normal Expo and Millennium Line trains will bypass Main Street-Science World. Visit TransLink’s web site for further details and contact information.